Success Stories from people we've helped get out of pain and stay out of pain. 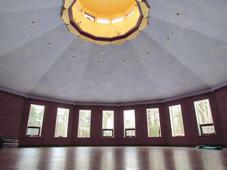 "At the end of a footpath, in the woodlands of Goshen, is the peaceful and beautiful twelve-sided Prakasa Yoga Studio. During a fitness class, we stopped to watch a red fox run across the snow. On warm summer days, we practice outside on the deck while the birds sing to us." 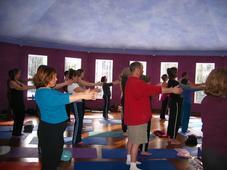 "Prakasa Yoga Studio is a sublime experience. 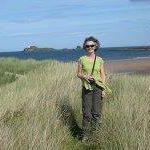 My teacher, Lynne Paterson, is caring and highly experienced. The studio is warm and inspiring. 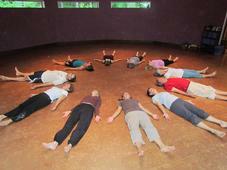 My weekly yoga class paired with a ten minute home practice keeps my joints supple, balance stable, and spirits centered. Lynne gives special attention to my shifting needs. And I am free to develop at my own pace. What a pleasure." "Thank you for the Cold Buster Workshop. Honestly, it came in the nick of time! I have used both the tonic and the decongest tea this week at the onset of a bad cold. It made all the difference.